​Gadfly Theatre Productions is entering our NINTH season of queer, feminist art and what a wild ride it's been! We've tackled queer identity, community infighting, abortion, and more queer geekery than even thought to exist in theatre canon previously. We had a beautiful art gallery for a season, and we let it go to find a bigger, more accessible space (which we're still working on!) We brought Drunk Queer History and Sober Queer History into the world--two great outlets for queer storytellers and improv artists to rally the local LGBTQ+ community around stories from the annals of queer history as well as discuss the living history of their own lives. As we move forward, some things at our PlayGround aren't changing. 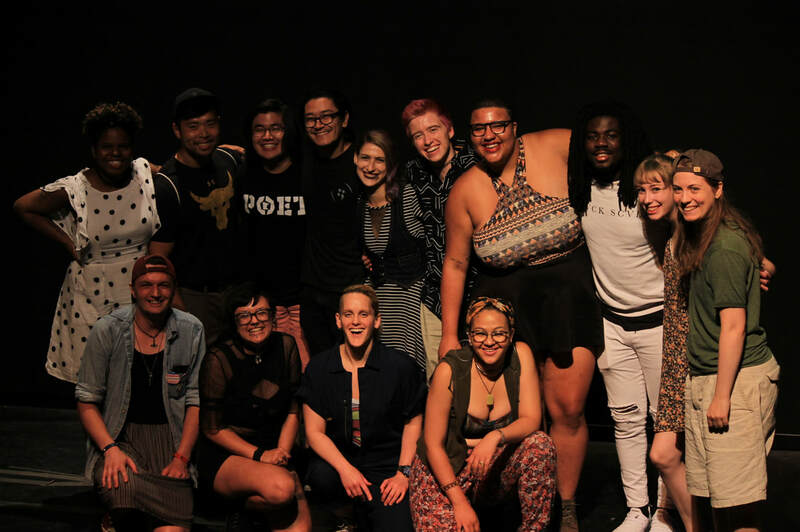 A core part of our mission is STILL creating opportunities for queer and marginalized artists through events like the ones described above, by hiring outside directors for our annual one-act festival, and by partnering with a community or social group devoted to social justice and making them a core component of our shows. We've recently partnered with Avenues for Homeless Youth, the Sexual Violence Center, and have an ongoing relationship with Out & Sober. This season you can expect two great mainstage works from emerging playwrights, an EPIC one-act festival (that's a pun, I promise), and of course DQH and SQH. You can expect some of the most gifted queer actors & technicians the Twin Cities community has to offer, and you can expect us to get louder & queerer. ​Know and love theatre but are not "theatre people"
To find out more about our Board of Directors application process, please e-mail gadflytheatre@gmail.com. The Queer. The Querulous. The uncomfortable Questions. And aspiring creatives with established icons. There are no small voices, only small minds. Bring your best. Do your worst. Create a catastrophe. Make it cathartic. With liberty and justice for arts.